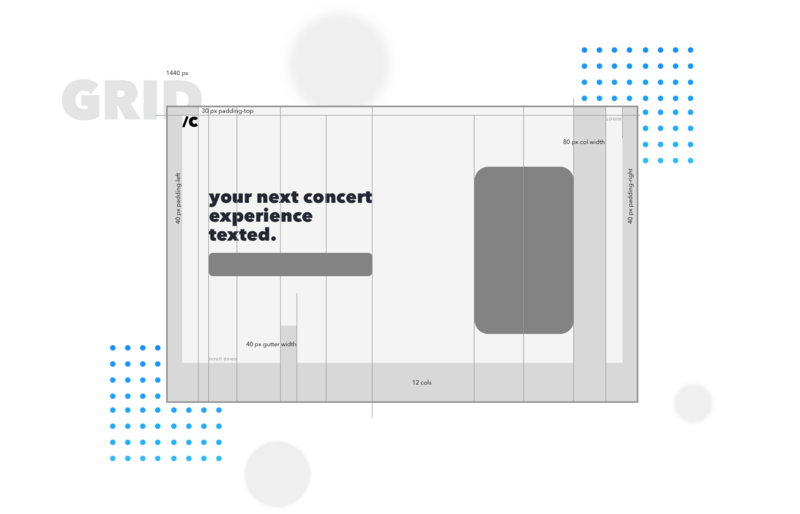 /concerts (pronounced: slash concerts) is an SMS based subscription service to all the best concerts near you. It sends regular alerts and exclusive promotions directly to your phone via text, for free. 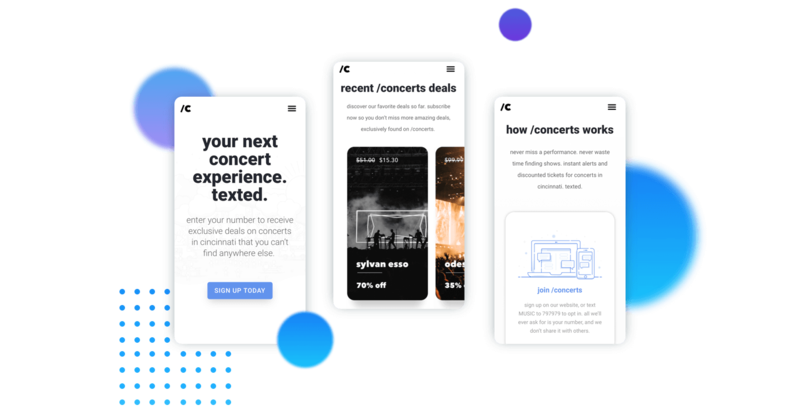 /concerts distributes steep discounts, free tickets, and other exclusive offers and alerts via text, for free to their highly targeted subscriber base. The value to their paying clients is directly tied to the number of subscribers they have. 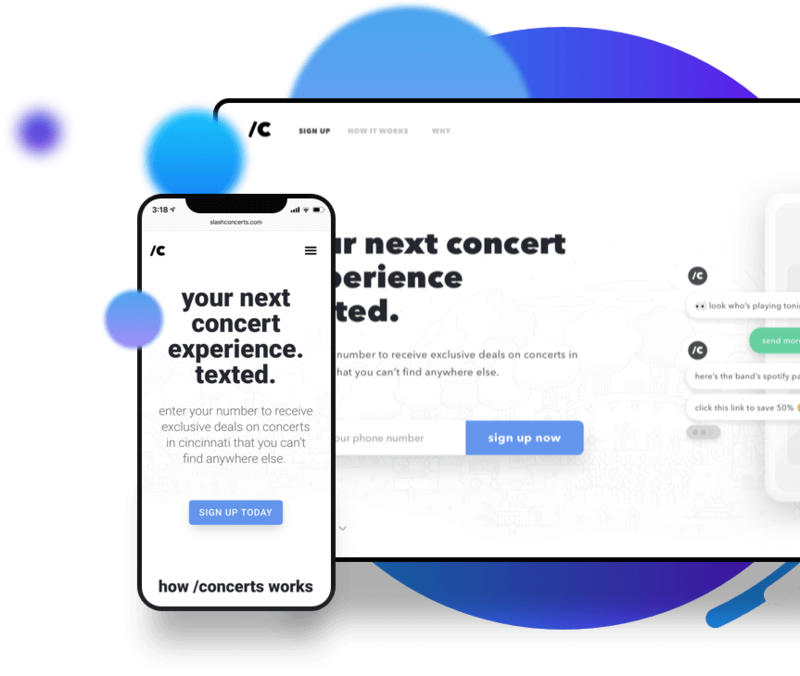 They needed help creating the most frictionless experience possible to ensure they could grow their following as much as possible. We designed and developed the user experience and user interface of the fully responsive website. We also had to make sure the designs resonated with their target demographic. 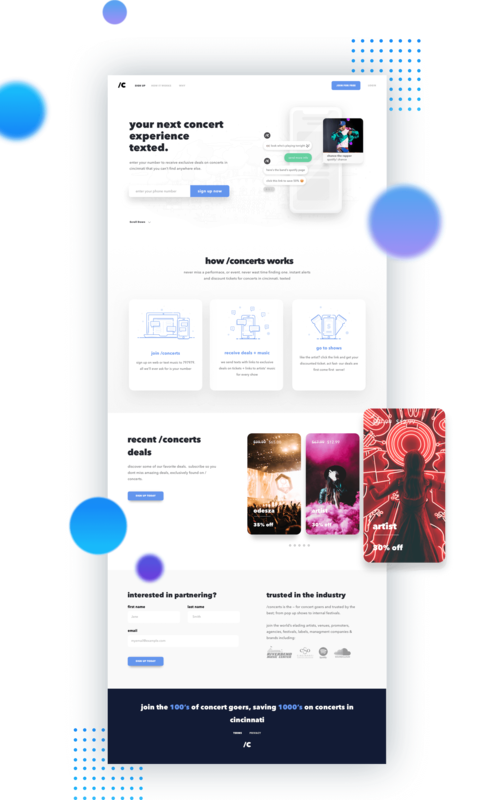 We created a truly custom consumer-facing experience, then created an easy-to-use backend dashboard / management portal for those running the service.